It all started with one small orange tabby cat who just wanted somewhere to call her own. I have been an amateur wood craftsman for many years. Working from the small wood shop I set up in the corner of the garage, I have built custom cabinetry and doors, moldings, frames, furniture for friends and family, and personal projects. 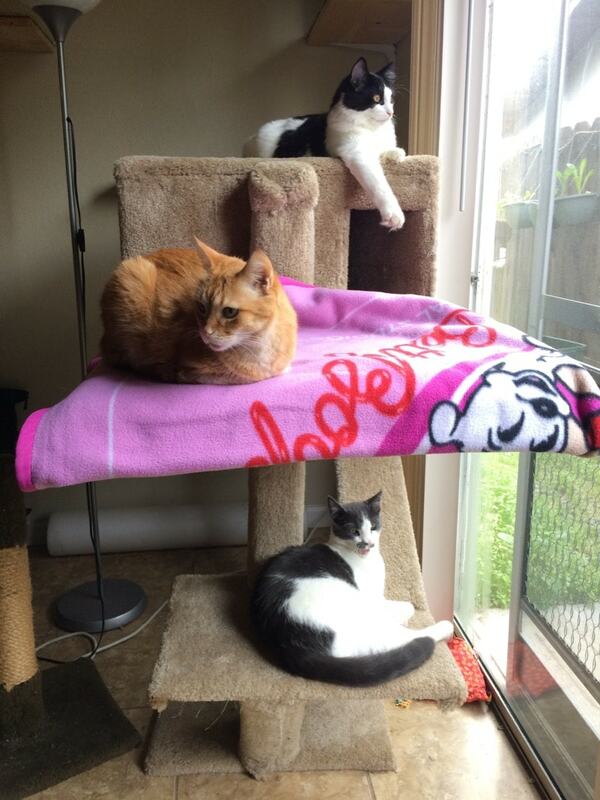 In 2006, I built that little orange cat the best cat condo I could. 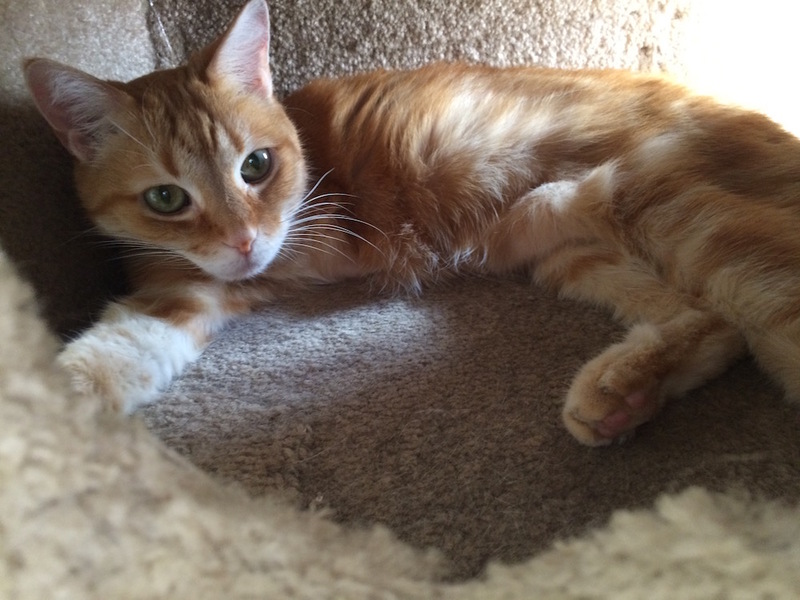 Unfortunately, in 2018, we had to say goodbye to her at the age of 15, but her condo remains a favorite spot for her furry siblings. At The Whisker Shop, we intend to continue building quality pet furniture that our little furry friends can call their own and enjoy for a lifetime. 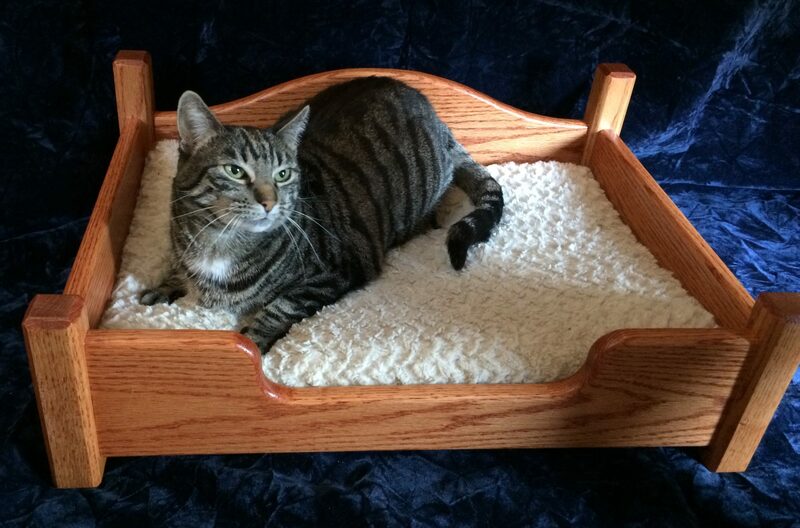 From our hardwood bed frames to our plush carpeted cat condos, your furry friends will find that special place to call their own. The safety of our furry friends is priority number one at The Whisker Shop. Unlike most mass-produced cat playscapes that use small staples that can pose a serious health hazard, at The Whisker Shop we use non-toxic adhesives to bond materials securely. All of our designs have undergone rigorous testing by in-house feline quality assurance staff, and have received an all-around two-paws-up rating.